I already wrote an article on the NexentaConnect for VSAN product after seeing it in action at VMworld last year. More recently, I had the opportunity to play with it in earnest. Rather than giving you the whole low-down on NexentaConnect, instead I will use this post to show the steps involved in presenting a file share built by NexentaConnect to a VM. 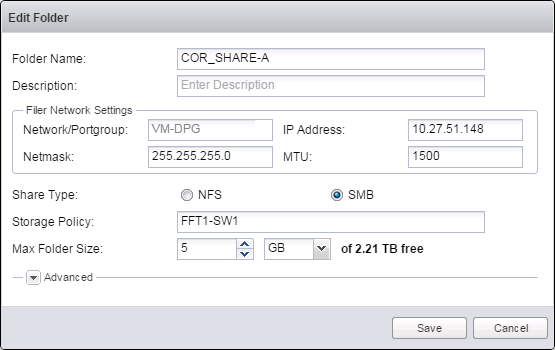 In this case, the VM and the file share both reside on Virtual SAN. 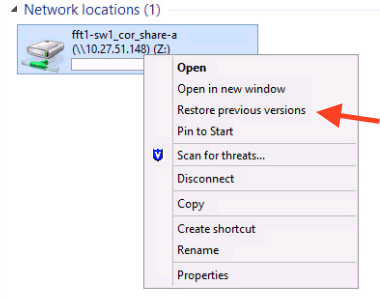 I will also show you how to simply revert to a point-in-time snapshot of the file share using NexentaConnect. To answer the common question, “can VSAN do file shares as well as storing virtual machines?”, the answer is yes. This post will show you how. We can now turn our attention to the other Nexenta icon on the vCenter home page, NexentaConnect for VSAN. This is where the file shares are created. The vsanDatastore is recognized as a datastore that can be used for provisioning file shares. What happens is that, when a new file share is provisioned by Nexenta Connect, a new VMDK is added to the Nexenta IO Engine. 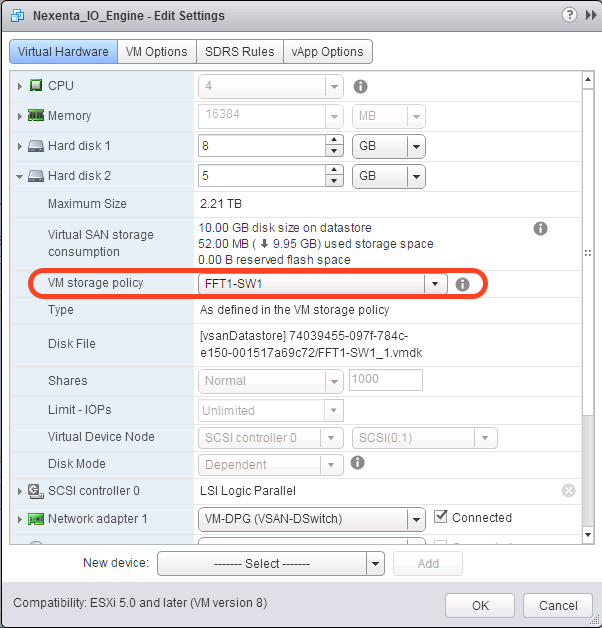 Since this is VSAN, the VMDK can have a specific VSAN policy associated with it and the VMDK will be deployed on the VSAN datastore in accordance with the policy. Note that this is all integrated into the vSphere web client; there is no additional management window that needs to be launched, which is a nice bonus. Once in the Nexenta Connect for VSAN, a new file share can be created from the Summary tab by clicking on the icon below. The other icons relate to other operations such as edit or delete a file share and stopping and starting file share services. Note that the dashboard provides a lot of useful information regarding the file shares, but since I haven’t deployed any yet, its all zeros. What this means is that even if there is a host failure in the VSAN cluster, the share will still be available. This is possibly the nicest feature from my perspective. The snapshot functionality provided by Nexenta Connect can be used directly with the Windows Guest OS. So in this example, I am going to create a snapshot of my important data via the NexentaConnect Manager, inadvertently loose the important files I created above, and then restore them without having to leave the Guest OS. First, I create a snapshot. Note that I am taking a one-off snapshot, but that there is a snapshot scheduler also included. And my files are back. Nice and simple, without ever having to leave the Guest OS. So there you have it. If you are looking to use VSAN for both virtual machine hosting as well as file sharing, Nexenta provide a nice integrated solution. If you’d like to learn more, check out Nexenta’s web site. On another note, this will be part of our excellent VSAN [A-Z] hands-on-lab (HOL) at VMworld 2015. The HOL id is #1608, and if you want to go through various features and functionality of VSAN, including the ecosystem around VSAN, this is the lab for you. As part of that ecosystem, Nexenta can provide file sharing if needed. If you are going to VMworld 2015, sign up for the lab to learn more.